How often have you retrieved something from your computer’s trash bin that should’ve never been tossed away to begin with? With Disk Drill Pro 3, your whole computer will have that same kind of protection from accidental deletions or system failures. 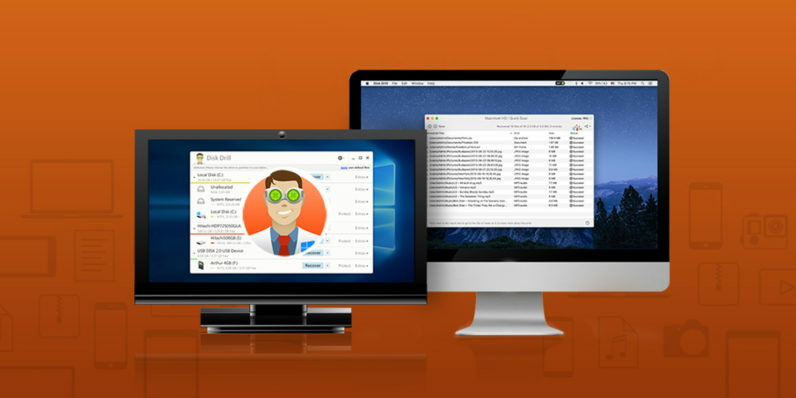 Easily recover dozens and dozens of file types with a lifetime Disk Drill Pro license for only $34.99 from TNW Deals. Disk Drill Pro 3 is a data watchdog that scans, recovers, restores, and protects OS X files and volume partitions, even those from USB flash drives and memory cards. In addition to retrieving those lost files, Disk Drill is also focused on your system’s performance — constantly monitoring disk health, finding and removing unwanted files, running data backups, and more. And Disk Drill Pro 3 doesn’t just cover your PC or MacBook; it also recovers files deleted from your iPhone, iPad, or even Android devices. All of your camera roll photos, videos, contacts, calendar entries, and even call history data are ready to be to resurrected at the touch of a button. Lock in Disk Drill Pro 3 at over 70 percent off the Mac version from TNW Deals, and be sure check out the Windows option on the deal page as well.